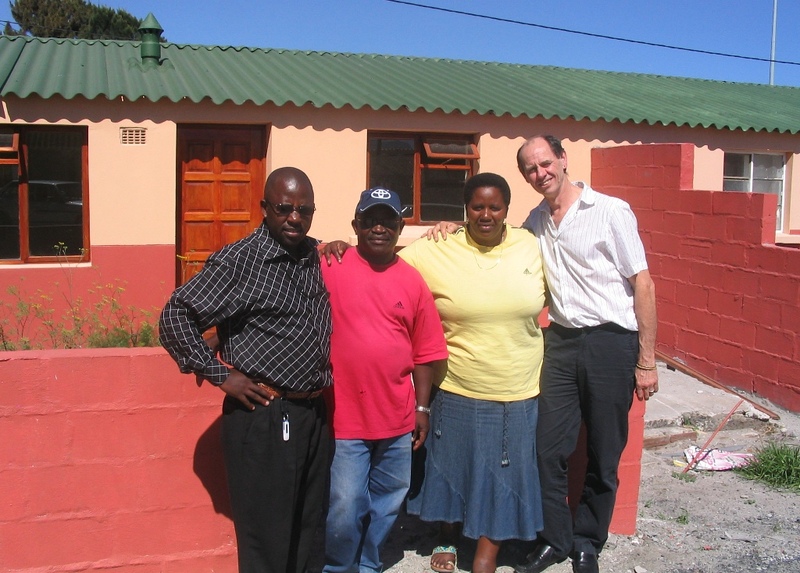 For the past few weeks, I have been working with Ilinge Labahlali Housing Co-op in the Nyanga “township” of Cape Town. The co-op grew like a phoenix out of the ashes of apartheid era housing. Since 2002, with great drive, persistence and passion, the residents have turned former decrepit company hostels into wonderful new housing and a transformed neighbourhood. Rooftops Canada has been supporting the co-op over all this time, and I have had the privilege of helping in this remarkable transition. Members of the co-op held a weekend workshop on 19 and 20 November to mark the completion of the co-op’s first 274 units and the start of stage two that will see another 324 houses built. When completed Ilinge Labahlali will be the largest housing co-op in South Africa. Resource people for the workshop included the Project Architects, a City of Cape Town representative and me – a Rooftops Canada Technical Advisor. The workshop addressed some of the critical issues facing the co-op such as how to value improvements made by the members and whether occupancy rights can be transferred. It also looked in detail at the items that must be covered by the monthly housing charge and the amount the co-op needs to charge its members. A large number of the participants were new or “second generation” co-op members and of particular interest to them was a description by Sivuyile Mxokozeli of the history of the co-op. Sivuyile now works for the City and played a key role in starting up the co-op. He provided the link to the struggles of hostel dwellers to improve their living conditions and to the consultation and development processes through which they have chosen co-operative housing as an effective way to own and manage their housing.